I ditched carrying a diaper bag about two years ago. I discovered that it's way easier to explore places with a back pack on my back than it is to deal with a diaper back over one shoulder. I call my back pack my Adventure Bag. Having a well stocked adventure bag is one of the things that helps me stay sane while travelling with four young children. It is never far from me when we are out exploring or sightseeing. It functions as my purse, diaper bag, and emergency plan. It contains everything I need to take care of the kids without having to run back to the car for something. Even when we are at home I keep the backpack in the car. It's a nice little resource when we are out running errands and someone needs a diaper change or a change of clothes. 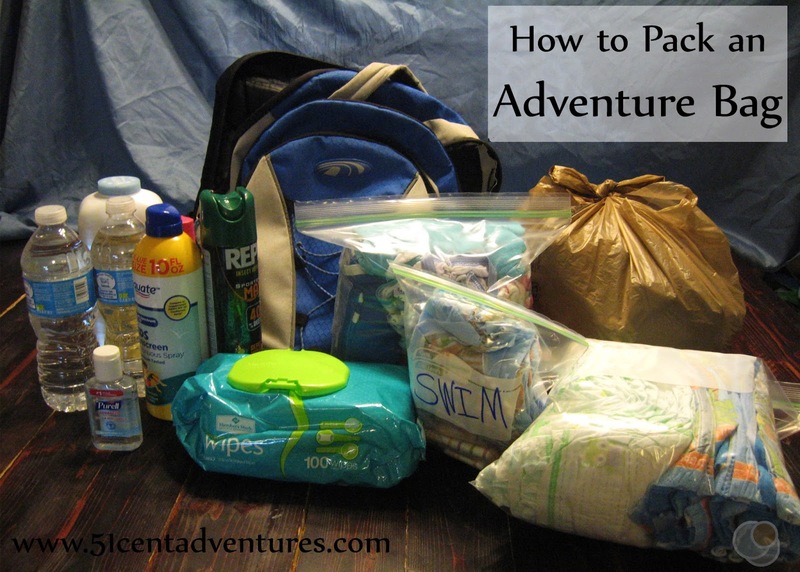 When I drop the kids off at a baby sitters house I'll usually leave the adventure bag with the babysitter since it has everything they would need. When I pack the bag I start with the things that I'm sure we'll use the least. The jackets go in first followed by the extra clothes. Then the diapers and wipes go on top. I have a second pocket where I'll put bug spray, sun block, and water. I used to put hats in this pocket too, but hardly anyone ever wanted to wear a hat. The third pocket of my back pack is where I keep my wallet, keys, and phone. I also keep personal things like chap stick and tampons in that pocket. It's so nice to know that everything I need will be with me. 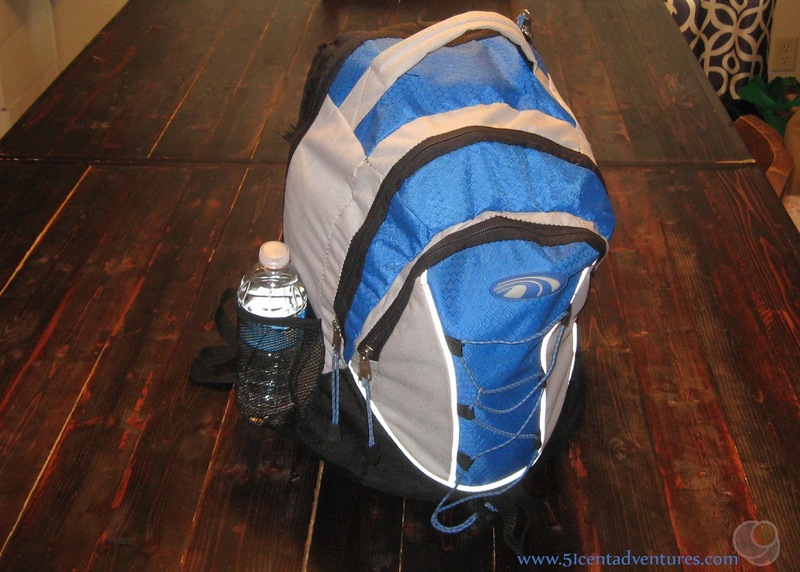 Here are a few tips on how to pack the things that go into an adventure bag. You'll only need enough diapers/pull ups for the day. If you are travelling for multiple days you'll want to keep the big box or bag of more diapers in your car. Just replenish the stash in your adventure bag each morning. I usually keep about 6 diapers and 6 pull ups in my bag. Back when all four kids were still in diapers/pull ups I obviously brought more. I'll squish all the diapers into a zip lock bag. That way I don't have to worry about them getting wet. 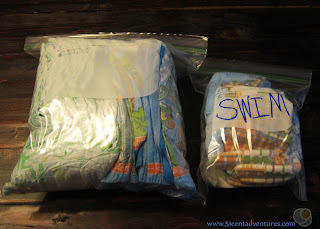 Right now it's the time of year when I like to keep a few swim diapers in my bag too. 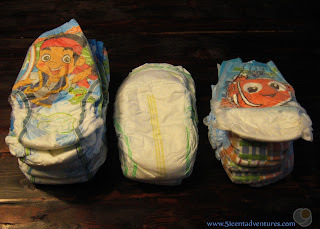 I never know when we might come across a splash pad or somewhere else where we'll need swim diapers. 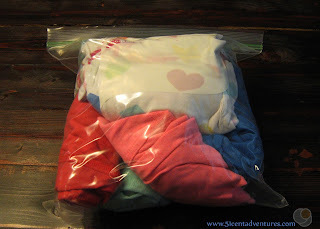 Aside from diapers, having an extra set of clothes is probably the biggest reason I carry my adventure bag. It's almost guaranteed that one of my kids will need to change at least one article of clothing while we are out exploring. On one memorable day, one daughter had diarrhea three times before I finally just put her in a pull-up until we got home. 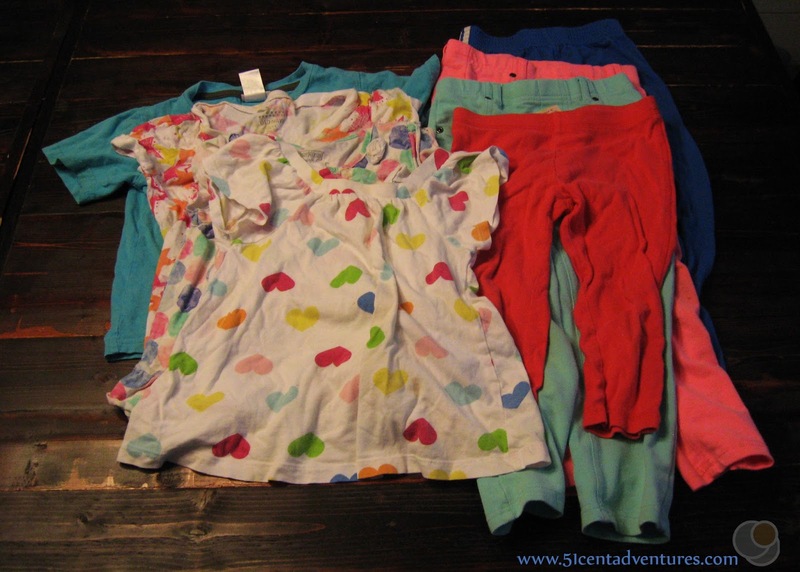 I start by finding one shirt and one pair of pants for each child. I pick clothes that the kids aren't absolutely in love with since these clothes might be in the bag for several weeks without being used. I also try to pick clothes that won't take up a lot of room in the bag. Then I roll everything up tightly. And squish them into a zip lock bag. I also add extra underwear to the bag. I've started adding a pair of socks too. That's thanks to a recent trip to the zoo when my daughter totally forgot to put on one of her socks. She got a blister within minutes and spent the day riding in the wagon. I spent the day wishing that I'd followed my instinct and put extra socks into the adventure bag. Even miss-matched socks would have been better than nothing. 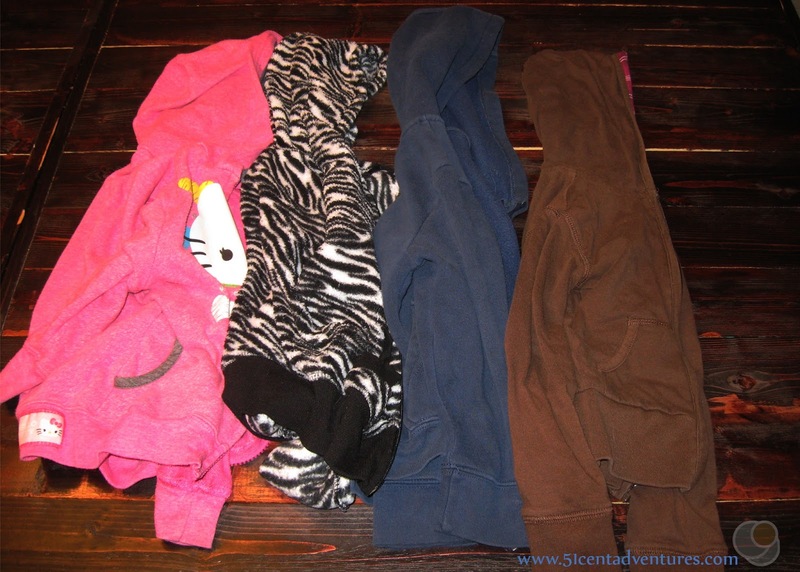 Right now it's too hot to give much thought to jackets, but during the cooler months I always make sure I pack the kids' jackets in my bag. That way if the weather unexpectedly gets chilly or the kids randomly get wet I have something warm and dry to put them in. 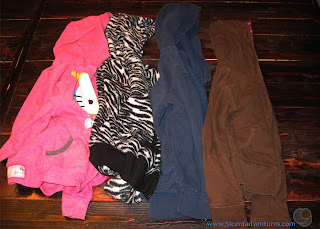 We have hooks set up in our laundry room where the kid hang their jackets. So it's always really easy for me to just go on there and grab four jackets. I'll stuff the jackets into a grocery bag. And put that at the bottom of the back pack. Before we go on an adventure I always get out the bag and check to make sure there are enough diapers, extra clothes, and other things inside. Then I put the bag in the car, and we head out for a day of fun. 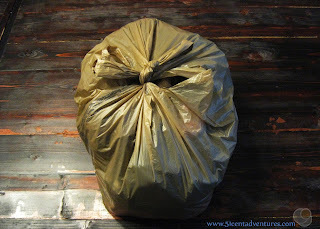 I hope this helps you get an idea of things that you can pack in your own adventure bag. 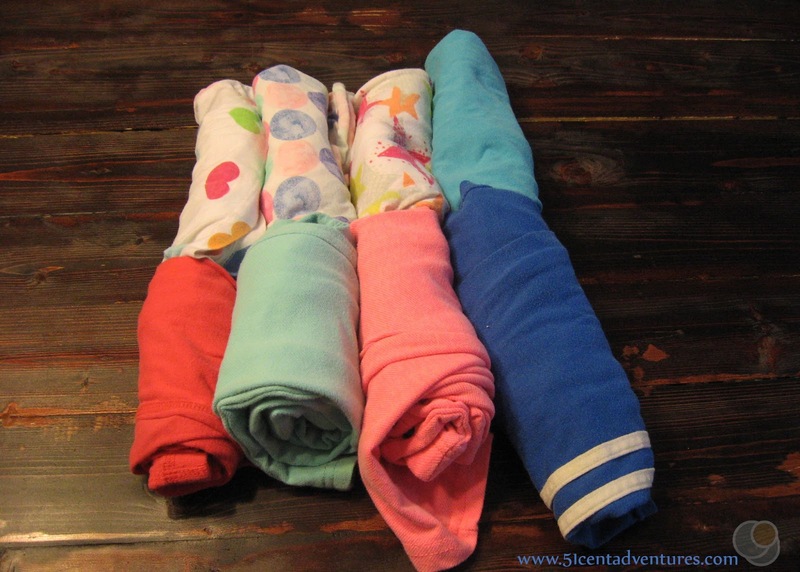 What have you found to be helpful to have on hand while you are out with your kids?